I once sold Banjo’s old home in Sydney. It was a classic terrace house in Double Bay in Sydney’s Eastern suburbs. Newly arrived in Australia I was twenty-five and had just started working for a real estate agency. One Friday night I went out for a few drinks with some Irish friends in Paddington to celebrate my new job and tripped over a paving stone on my way home. I broke a bone in my left foot (drunk as a skunk of course) and was on crutches for a month. Beginner’s luck; I sold it the next day, haha!! I didn’t have two dollars to my name then and I needed a car to get around in and to take clients to view the properties we were selling. So once I was off my crutches I looked up the Yellow Pages and there was a company that hired them called “Renta Bent Bug”. They cost $10 a day so I hired one to get me by and fool the boss who thought I owned a car. Mine was from 1962. A few days later I got a potential buyer for an apartment we were selling. She was about eighty years old and was down-sizing from a mansion in Bellevue Hill. She didn’t drive so I picked her up from her home in my rented bug to take her to see the apartment. I drove up a steep hill in Double Bay and when I got to the top I had to stop at a red light. Then the bloody left-hand back wheel of my bug fell off and rolled down the street behind us. I watched it in horror in the rear view mirror as it made its way bouncing down the road. As luck would have it the blasted thing jumped into someone’s front garden with no lives taken on its way. It was like watching a scary movie in slow-motion. The old girl had a fit of laughter and I had no choice but to leave the car where it was in the middle of the street. I hailed a taxi to take her on to see the property she was interested in and she bought it on the spot. She was still laughing when she signed the deposit cheque. She said she hadn’t had so much fun in fifty years! My foot recovered as feet do. I made a bit of money and was able to buy a used car (a Camaro V8), and the next property I sold was for $5 million. My God, those were the days! Banjo was an extraordinary man. He is my hero in a way. He knew the land and he knew the people and the horses in his day. My favourite poem of his of course is The Man from Snowy River. You can view a video about it by clicking here. “In 1885, Paterson began submitting and having his poetry published in the Sydney edition of The Bulletin under the pseudonym of “The Banjo”, the name of a favourite horse. Paterson, like The Bulletin, was an ardent nationalist and, in 1889 published a pamphlet, Australia for the Australians, which told of his disdain for cheap labour and his admiration of hard work and the nationalist spirit. 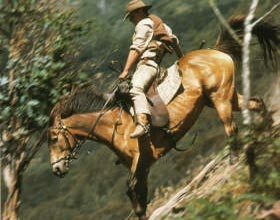 In 1890, as “The Banjo” he wrote “The Man from Snowy River“, a poem which caught the heart of the nation and, in 1895, had a collection of his works published under that name. This book is the most sold collection of Australian bush poetry and is still being reprinted today. In his lifetime, Paterson was second only to Rudyard Kipling in popularity among living poets writing in English. Paterson also became a journalist, lawyer, jockey, soldier and a farmer. 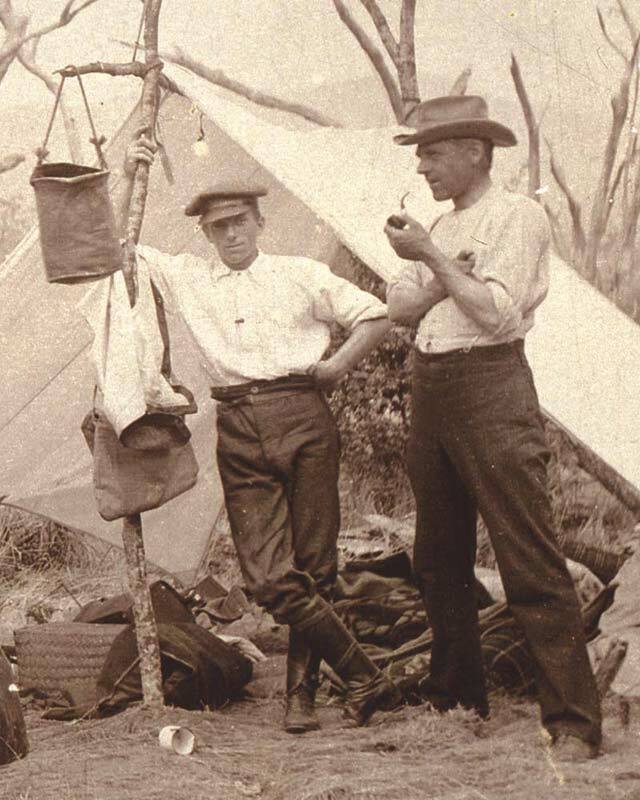 Paterson became a war correspondent for The Sydney Morning Herald and The Age during the Second Boer War, sailing for South Africa in October 1899. His graphic accounts of the relief of Kimberley, surrender of Bloemfontein (the first correspondent to ride in) and the capture of Pretoria attracted the attention of the press in Britain. He also was a correspondent during the Boxer Rebellion, where he met George “Chinese” Morrison and later wrote about his meeting. He was editor of the Sydney Evening News (1904–06) and of the Town and Country Journal (1907–08). In 1908 after a trip to the United Kingdom he decided to abandon journalism and writing and moved with his family to a 40,000 acres (160 km2) property near Yass. In World War I, Paterson failed to become a correspondent covering the fighting in Flanders, but did become an ambulance driver with the Australian Voluntary Hospital, Wimereux, France. He returned to Australia early in 1915 and, as an honorary vet, travelled on three voyages with horses to Africa, China and Egypt. He was commissioned in the 2nd Remount Unit, Australian Imperial Force on 18 October 1915, serving initially in France where he was wounded and reported missing in July 1916 and latterly as commanding officer of the unit based in Cairo, Egypt. He was repatriated to Australia and discharged from the army having risen to the rank of major in April 1919. His wife had joined the Red Cross and worked in an ambulance unit near her husband. Just as he returned to Australia, the third collection of his poetry, Saltbush Bill JP, was published and he continued to publish verse, short stories and essays while continuing to write for the weekly Truth. Least you can look back on the experience with fondness and not horror still!!! What an amazing experience to not only see the house where he created such literary wonder, but to appreciate it!!! (I’m a bit of an Australian literature fan – things like this get me all excited!) What was the house like? Thank you Sara. The house was a bit spooky from what I remember so maybe the ghost of the Man from Snowy River had settled in there and stayed on!